Attribute-based encryption (ABE) is a promising cryptographic tool for fine-grained access control. However, the computational cost in encryption commonly grows with the complexity of access policy in existing ABE schemes, which becomes a bottleneck limiting its application. 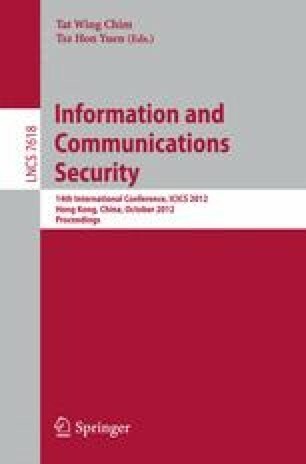 In this paper, we formulize the novel paradigm of outsourcing encryption of ABE to cloud service provider to relieve local computation burden. We propose an optimized construction with MapReduce cloud which is secure under the assumption that the master node as well as at least one of the slave nodes is honest. After outsourcing, the computational cost at user side during encryption is reduced to approximate four exponentiations, which is constant. Another advantage of the proposed construction is that the user is able to delegate encryption for any policy.